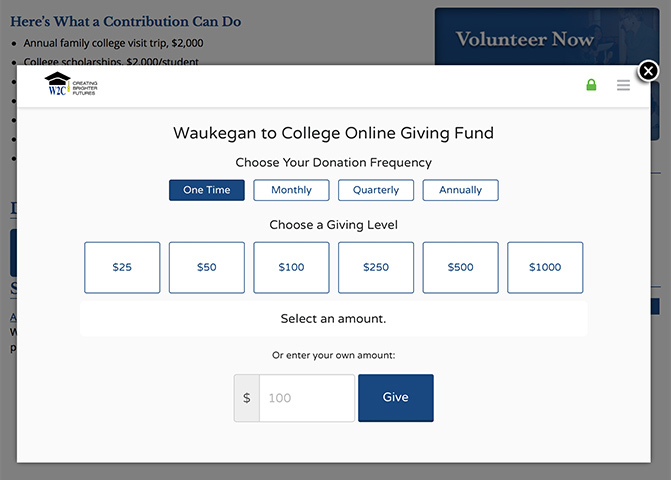 The Waukegan to College (W2C) program is committed to creating brighter futures for their children by providing them with a unique variety of resources to help their children get on and stay on the path to college. Rose Design updated the W2C logo and rebuilt their website using WordPress and Gravity Forms. With these updates placing an emphasis on volunteering and donations, the program has grown by 220% and now has a waiting list!